Lemax Telephone Booth miniature accessory depicts a traditional self standing red telephone box as found on street corners in a bygone era. Suitable for placement in and amongst a miniature village or town street scene. A Lemax Village miniature accessory which has been part of the Lemax miniatures collection since 2004. 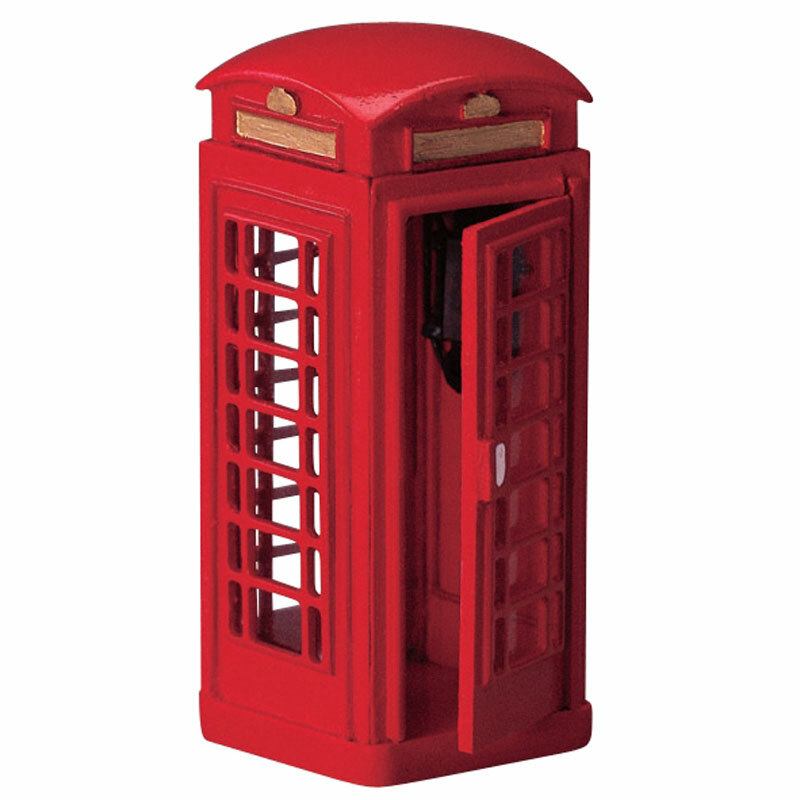 Telephone Booth is an individual hand painted self standing piece without a base to compliment your seasonal Lemax Village display.